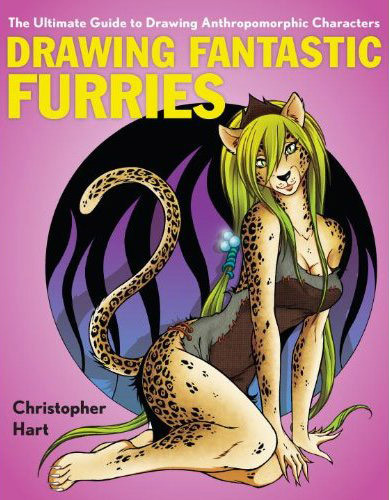 Chris Hart, author of several art-instruction books, is to publish Drawing Fantastic Furries: The Ultimate Guide to Drawing Anthropomorphic Characters. The book runs to 144 pages and will be available from March 15, 2011. Hart's previous instruction books have dealt with such subjects as manga, cartooning, comics, fantasy art, and anatomy, and have included such titles as How to Draw Cartoon Animals and Manga Mania: Chibi and Furry Characters: How to Draw the Adorable Mini-characters and Cool Cat-girls of Japanese Comics. This is not the first how-to book for "furry" art to be written. Drawing Fantastic Furries is preceded by Freaks! : How to Draw Fantastic Fantasy Creatures (2004), and Draw Furries: How to Create Anthropomorphic and Fantasy Animals (2009).